Remanufactured Black Toner Cartridge with 4,000 high capacity page yield. Equivalent to HP part number(s): Q2613X, 13X. Fits the following model(s): HP 1300, HP 1300n, HP 1300xi. 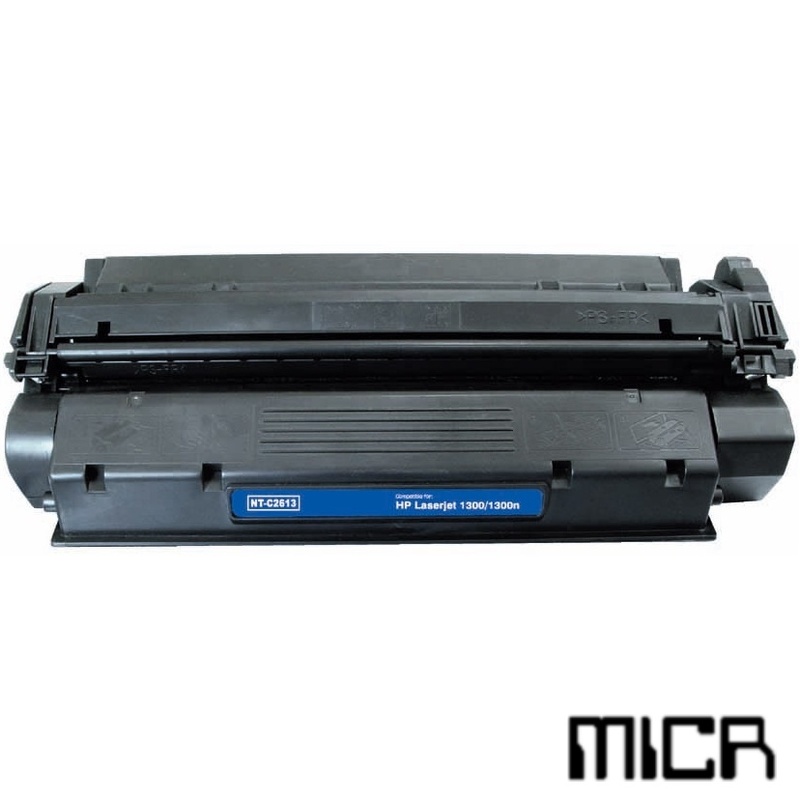 Buy our high quality compatible toner for HP LaserJet 1300 with confidence. Join thousands of happy customers who have found our compatible products are equivalent in page yield and print quality. For our compatible products, we offer a 100% Satisfaction Guarantee allowing you to return products within 6 months if you are unsatisfied. While the exterior of the HP LaserJet 1300 is, it has the quality and speed of much more expensive models at a fraction of the price. Home and small office users who need an inexpensive monochrome laser printer may be surprised at just how much they get for such a low price, and the affordable price of HP 1300 toner adds more value to the package. Compatible HP toner cartridges are also available for this printer which truly make it a bargain to operate. The HP 1300 isn't the most compact model on the market, but its footprint is still small enough for most desk spaces. It measures 9.5 inches by 16.3 inches by 19.1 inches. It weighs only 19 pounds, so most users can move it easily without help. In addition to the base model, there are two other models available: the 1300n and 1300xi. Print speeds are fast, especially for the price, at up to 19 pages per minute. The 1200 dpi printing engine produces very sharp and detailed prints with readable text. There is a 133 MHz processor inside as well as 16 MB of RAM, which can be upgraded to a maximum of 80 MB for users who do heavy graphics printing. A wide range of media types are supported including labels, transparencies, envelopes and cards among others. Wise buyers often consider the cost of the toner cartridge when choosing a printer, as toners will need to be replaced many times during the life of the machine. 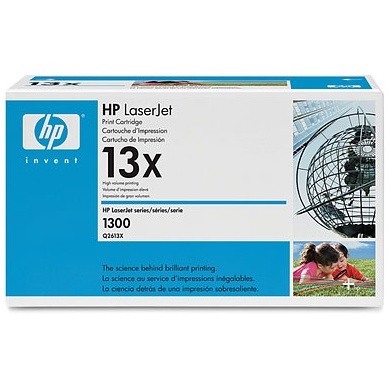 LaserJet 1300 toner cartridges have a large capacity of 4,000 pages, and HP 1300 toner cartridges are very affordable, the combination of which means a low cost per page. 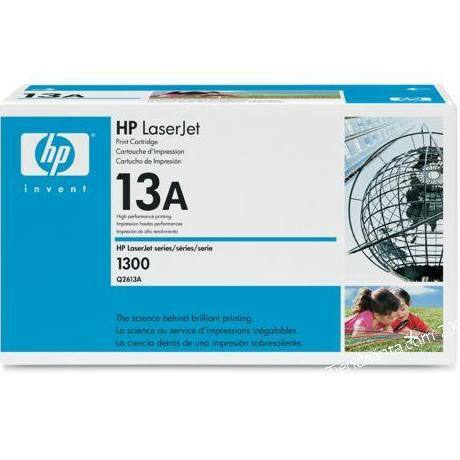 Third-party compatible HP 1300 toner is also available for even lower prices. The HP 1300 truly has a lot to offer in a small package. 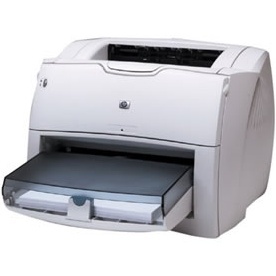 Its speed and print quality are impressive, and its low price will appeal to small office users on a budget. Low-cost LaserJet 1300 toner makes it an even more economical choice in the long run.